Translated as “Church of Our Lady of Good Tidings”, this is the major attraction on the beautiful island of Tinos. Home of a popular icon of the Panagia, Jesus’s mother, people from all over the world flock here each year to pray at the holy icon. This isn’t a popular place to visit an icon, though. The church is also a sought-after destination for baptisms and weddings. For those who live on the island, though, the church is a part of everyday life. To get the full experience, make the trek up to the church on foot so that you can really absorb the beauty of the place. One thing that people love about this island is that it hasn’t been commercialized. While some ports in Greece have a bustling, commercialized feel, the port on Tinos is relatively quiet. However, once you disembark and begin exploring, you’ll realize that there is a lot more to the place than meets the eye. While your first impression is that there won’t be much to do here, that couldn’t be further from the truth. 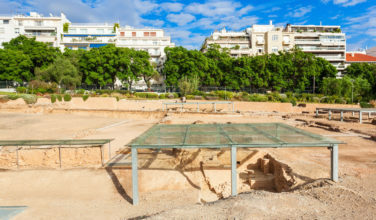 There are certainly plenty of things to do here, it’s just that the island is much quieter than some of the other tourist destinations in Greece. Besides the fact that the island is beautiful, with plenty of sprawling coastline to make any beach-goer happy, the main thing that sets this island apart is the local culture – and the people are more than eager to share it with its visitors. 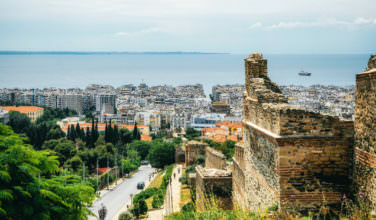 Be sure to visit some of the many cafes and tavernas to sample the local cuisine. While it is very similar to food that is found in other parts of Greece, there are some differences. The cuisine on Tinos is dependent on what the islanders can obtain themselves, whether it’s freshly grown tomatoes or seafood that was plucked right from the ocean that morning. Wash the whole meal down with some local Greek wine and you’ll have the perfect cultural experience. If you’re lucky, you’ll find a taverna with some traditional music to further set the tone. 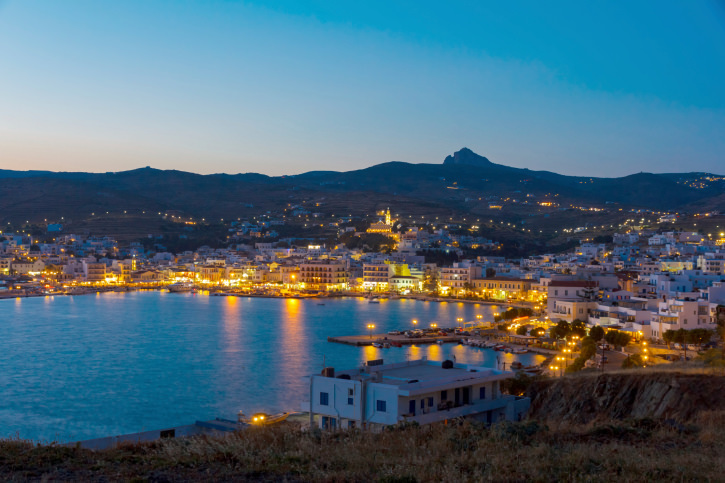 Even though the main draw on the island of Tinos is the Church of Our Lady of Good Tidings, you can still have a full Greek cultural experience by exploring the whole island.